The hazardous level of air pollution raises the urge to protect the health of yourselves and your families. The most common diseases that caused by poor air quality nowadays are allergies and asthma. Moreover, according to the American Lung Association, asthma not only is ranked in the top 6 most common chronic conditions in the United States but also leads to many other serious illnesses of both children and adults. 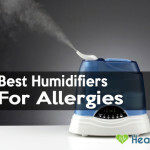 The demand for air purifiers for Allergies and Asthma, therefore, has increased dramatically recently. Air purifiers clean the air, remove dust, destroy or prevent the development of mold and some kinds of bacteria. That’s how an air cleaner helps you reduce allergen levels in your home, which is an important factor to control allergies and asthma. 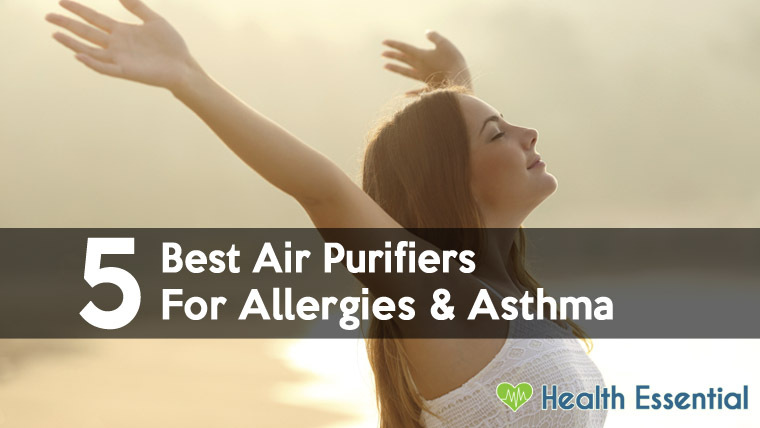 Unlike a normal air cleaner, air purifier for allergies and Asthma is more difficult to buy, as it needs to meet some specific standards, which are listed in our Buying Guide below. There are various types of filter types, each of which has their own strengths and weaknesses as well as targets a different type of pollution. That’s also the reason why the manufacturers usually apply two or more filter in the same unit to offer more benefits to users. HEPA filtration was created during the World War II and it now becomes the most popular filtration used in air purifiers to trap 99,97% of all airborne particles that are about 0,3 microns small and 95% of particles as small as 0,1 microns. 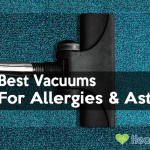 Thus, almost all allergens such as pollen, mold, pet dander, dust mite debris, and bacteria are removed from the air of your home environment by HEPA filter. 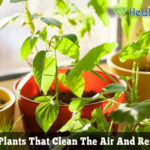 The disadvantage of air purifiers with HEPA filter is it cannot eliminate the volatile organic compounds, odors, viruses and the filter needs to be changed periodically. This is the most absorbing filter available these days as it has millions of small absorbent pores that chemically react to contaminants when they pass through the filter. The chemical, therefore, bonds with the carbon and become absorbed. Activated carbon filters surpass others in removing volatile organic compounds, odors, gas and smoke. However, this filter does not remove small particles as HEPA filter does. 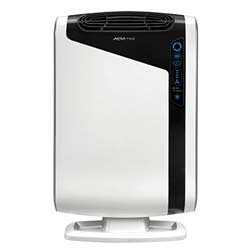 This type of air purifiers does not apply any actual filtration technology but it rather uses UV light having electromagnetic radiation to destroy particles as they pass. 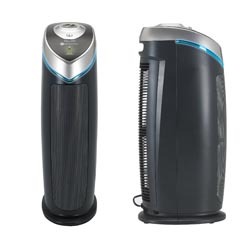 Ultraviolet light air purifiers are effective at controlling mold, killing bacteria and viruses, yet it does not remove dust, pollen and particularly, improperly dispersed UV rays can cause skin necrosis and cataract. Ionic air purifiers generate and give out negative ions to the air that attract positive airborne dust and allergen particles, forcing them to cling to a nearby surface. 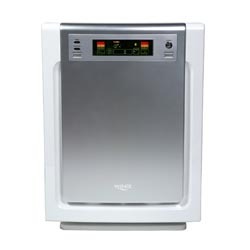 This type of air purifiers can remove particles as small as 0.01 microns, kill bacteria, viruses, smoke mold and so on. However, its disadvantages are it clean the air but make the floor or the wall dirtier and it produces harmful substances- ozone. 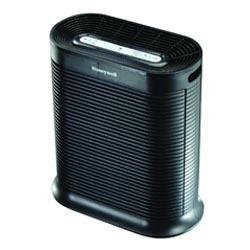 The best filtration for Allergies and Asthma is the combination of HEPA and activated carbon filter. After choosing the filtration technology that fits your need, there are some factors that you should consider carefully before buying one. Room Size: First of all, check what the size of your room is. Each model of purifiers has the capacity matching a certain area, so if you buy a product with lower capacity than your demand, it will not achieve the desired effectiveness. Noise Level: Know exactly where you want to place it so that you can choose the model emitting the acceptable level of noise. Air Changes per Hour: (ACH) is an important figure of an air purifier, especially an air purifier for Allergies and Asthma. This ACH number varies between 1 and 7, and choosing units able to perform 2 or more ACH is better for controlling allergies and asthma. Energy Cost: Consider the filter’s minimum efficiency reporting value (MERV), which varies from 1 to 12 for home AC units, to balance your air-quality concerns with energy cost. Naturally, the growth in demand leads to the increase in supply. It enables users to have a better chance to get a high-quality one with a lower price. Below are the 8 best ones available on the market today. This is quite an impressive option that you will find when it comes to air purifiers. A number of features put up a compelling case in its favor. For one thing, the HEPA filter that it is equipped with makes it certain that almost all of the dust and allergens are eradicated from the environment. Indeed, it manages to capture as much as 99.97% of the dust and allergens with efficiency. The charcoal filter serves to eliminate the general odors of the household such as those arising from cooking, smoking, or pets. The combination of UV-C light technology with the Titanium Dioxide enhances the efficiency that the purifier has and manages to kill the bacteria, viruses, and germs to perfection. Safety is not something that you will need to worry about when it comes to this unit. Measures have been taken to ensure that you are provided with optimal durability and performance. Thus, you can be certain that if this is the one you opt for, you will not get a reason to regret your purchase some time down the road. You will get the results that you are looking for. A lot of factors work in favor of this unit. It is easy to set up, and thus it is unlikely that you will need to acquire any outside help for the same. It operates in a rather quiet manner and thus is not a source of distraction. Efficiency is not something that you will find lacking in it as it eliminates dust, allergens, viruses, and bacteria from the air to perfection. It is highly durable, and thus you would not have to look for another option anytime soon. You will be able to make use of it for a long time to come. One negative feature of this air purifier is that the replacement filters are quite expensive. If you are looking for one that would be capable of capturing airborne germs efficiently, and would also offer you a lot of ease and feasibility, this is something that you ought to take a look at. There are quite a few features that the unit is equipped with that make it certain that you get your desired results and more. It is capable of providing you with optimal performance as it gets rid of the airborne germs to perfection. It circulates the room air up to five times per hour and thus manages to perform its task with the kind of efficiency that one tends to look out for. The carbon pre-filters that the unit is equipped with services to get rid of unpleasant odors. You will find it quite easy to use this purifier. Three air cleaning levels are provided so as to ensure that you are provided with optimal control with regards to the functioning of the unit. All in all, you will not find this unit lacking in any regard. High standards of quality have been maintained in the construction of this unit. Thus, it is highly durable, and you will be able to use it for a long time to come. It will prove to be worth its money and provide you with the kind of performance that will leave you impressed. You will find quite a few enticing features in this unit. It is a rather quiet unit which makes sure that you are not distracted from your work owing to it. It is quite affordable and would not put a strain on your budget. The unit offers you the feature of double filtration which enhances its performance. Using the unit is quite easy, and you are provided with optimal control. The air filters are expensive. 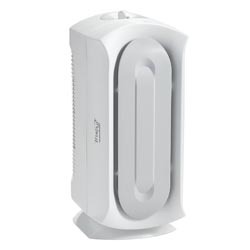 This is another option that you will find worth consideration when it comes to air purifiers. With the features that this unit is provided with, you can be certain that you will not get a reason to regret your selection. For one thing, it proves to be a rather cost effective option. 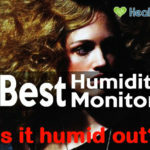 This is because the unit is equipped with a HEPA filtration permanent filter. This ensures that you do not have to spend money to purchase a replacement filter soon. The unit is also provided with two replaceable carbon zeolite filters that ensure that unpleasant odors from your environment are eradicated to perfection. The unit is capable of providing a rather effective performance with its area of efficiency spanning across 140 square foot rooms. The purifier is equipped with a rather quiet motor and fan. Thus, you would not even realize when it is on. It has a feature of three-speed levels which makes it certain that you get optimal control when it comes to the functioning of this unit. Therefore, with this, you will get the results that you are looking for without fail and would not have to regret opting for this unit. It is small, and thus placement is not something that would pose any difficulty for you. It works in a quiet manner and thus would not be a cause of the disturbance. You will find quite easy to operate the unit and will be provided with optimal control during the same. It is cost effective and would not require you to spend your money on it all too often. The filter is permanent, and you cannot change it if such a need arises. 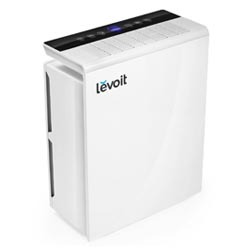 If you are looking for an air purifier that would provide you with the perfect combination of performance, durability, and quality, this is an option that you ought to take a look at. You would not be disappointed with the results that you get. This unit is provided with quite a few appealing features. For one thing, the sensor that it is equipped with serves to automatically detect and purify the air. Thus, you would not have to worry about germs and dust in the air at any given instance. The filter is provided with antimicrobial treatment which ensures that the airborne particles are eradicated from the air with a lot of efficiencies. You would not have to worry about allergens catching you unawares or aggravating your asthma condition if this is the air purifier that you make use of. A special mode for cold and flu season is available to make things all the more convenient for you. It is apparent that meticulous attention has been paid to detailing when it comes to this unit, and thus you will not find it lacking in any aspect. It will prove to be worth its money and will get you your desired results. The unit is capable of keeping the air clean at all times. It is small and thus you would not have to face any trouble when it comes to placement. It is profound in quality and durable, thereby ensuring that it will last for a long time. There are some negative points found in the unit. The lights are rather bright which might hamper your sleep. Furthermore, the lights are alongside the control buttons which makes managing things a bit difficult. The ionizer tends to come on by default which can be troublesome for sensitive lungs. 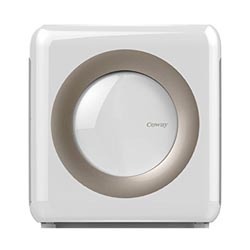 If you are looking for an air purifier which would provide you with optimal ease and feasibility, this is an option that will not let you down. A lot of measures have been taken to ensure that you do not get a reason to complain when it comes to the performance of this unit. It will cater to your requirements with perfection. The unit is quite compact. Therefore, you would not have to face any trouble when it comes to placing it. It is provided with a lot of features that ensure that your indoor air is clean at all times. The HEPA filter that it is equipped with serves to keep the air clean and devoid of airborne pollutants. The unit makes use of a four-stage filtration system to make sure that you are provided with an impeccable performance. An air quality indicator forms part of the unit which kicks the air purifier into high gear when the need arises on its own. If no pollutants are detected in the air for 30 minutes, the fan stops automatically which thus serves to conserve energy. A filter change indicator is also present to let you know when the thing needs to be changed. Thus, it is clear that no detail has been missed out when it comes to this unit. It is capable of providing you with optimal performance. This is not the kind of unit that would give you a reason to complain. Optimal quality has been maintained in its construction, and thus you can be certain that it will continue to provide you with impressive performance for a long time to come. The unit has rather bright light indicators which could be a bit troublesome during the night and may affect your sleep. This is another option that would not let you down if you are looking for an air purifier that would keep allergens at bay. There are a lot of features that make this unit an option worth considering. It is equipped with HEPA filtration that serves to ensure that the airborne pollutants are removed from the environment to perfection. The unit is also provided with an advanced odor control carbon filter that makes it certain that you do not have to deal with any unpleasant odors. Furthermore, the filter is washable which makes maintenance rather feasible. The unit makes use of the PlasmaWave technology to attack the pollutants at a molecular level. Thus, you can be certain that the air will be purified to perfection if this is the unit that you make use of. It is also provided with smart sensors with Auto mode. The odor, dust, and light sensors ensure that the air cleaner settings are adjusted as per requirements. Thus, you would not have to face any difficulty when it comes to operating this unit. A lot of benefits are offered by this unit which would serve to entice you. It is capable of eradicating airborne germs and pollutants to perfection. You will not have to worry about getting rid of the unpleasant odors when it comes to this unit. The sensors ensure that the settings are adjusted automatically, and thus this is not something that you will have to trouble yourself with. There is one problem that you will face with the unit. It is quite large, and thus placement might be a bit troublesome for you. This is another one that you will come across on the market which would provide you with the results that you are looking for with a lot of efficiencies. The unit has quite a few features that enhance the performance that it has to offer. The HEPA-type filter that it is equipped with ensures that the airborne particles are removed from your environment with a lot of efficiencies. 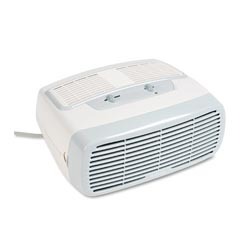 Thus, you would not have to worry about dust and allergens if this is the unit that you make use of. It is provided with three-speed settings that are suitable for different conditions. Thus, you would be able to acquire the results that you want with a lot of ease. The slim dual positioning design that the unit is provided with ensures that you do not have to face trouble when it comes to placement of this unit. The unit is recommended for rooms up to square feet. All in all, you can be certain that this unit would prove to be just the thing that you are looking for. It will cater to your requirements and also keep your health profound. You will not have to worry about allergies coming your way if this is the unit that you opt for. Slim design ensures that you can place it in a limited space with ease. The three-speed settings make it certain that you can use the unit as per your convenience. It is profound in quality and durable. There is one problem that you would encounter when it comes to this unit. When the speed setting is high, the unit tends to be a tad bit noisy which could be quite troublesome especially during the night. This is another impressive option that is capable of providing you with the results that you are looking for. With this, you would be able to put all your worries related to air pollutants and allergens to rest. The unit is equipped with True HEPA, Fine Preliminary, and Activated Carbon filters. This three-stage filtration ensures that you do not have to worry about problems such as allergies and nasal stuffiness. The unit is capable of removing unwanted odors from the air with a lot of efficiencies. Thus, you would not find the air stuffed with odors of cooking or smoking if this is the air purifier that you make use of. Measures have been taken to make sure that you find the unit rather easy to use. An intuitive LED display with air quality indicator forms part of the unit. It is easy to use, and the control panel is clear to read. It is also provided with an Auto button which monitors the air quality. The unit has a Quiet Sleep Operation that ensures that you do not have to face problem while sleeping. It would not be a source of the disturbance. You will find this unit to be highly reliable and efficient as it ensures that you are not let down by it at any given point. It will cater to your every requirement with efficiency. The unit is reliable and efficient. It is provided with three filtration stages that enable it to perform the task to perfection. One problem with the unit is that the filters have to be replaced every six months and they are a tad bit expensive, thereby putting a bit of a strain on the budget. There’s no denying that they have a lot to offer and lead to quite a positive impact on your health. The only thing that you need to ensure is that you opt for the right thing. Once you manage to find one that is impressive in terms of performance, is durable, and affordable, there is nothing more that you would have to worry about. Pay heed to the reviews before purchasing any unit.